War Bonds is a refreshing change from most of the anthologies of today. The love stories of the couples featured in this book have stood the test of time , under the most difficult situations, leaving the reader spellbound. These stories brought to the fore by Cindy Hval, are true stories of how some extremely brave and loving couples, who were married at the onset of World War II, will help us to remember the lives of our parents or grandparents during that time when you never knew whether this would be the last time you ever saw some of your loved ones. The author tells the stories of thirty-six couples in the Northwest part of our country, relating real difficult moments in battle that took place during the marriages and the fact that none of the couples ever gave up, sticking to the vows that they made to their spouses during these difficult times. Each story was told with both humor and joy and sometimes sadness, telling of each couples’ situations and their personal times together. 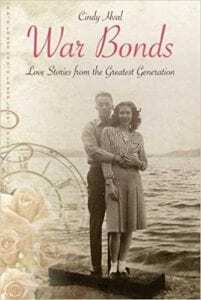 The writer of this wonderful book, Cindy Hval, wrote many articles in a series of features about couples who met and married during World War II. Her stories covered couples who met before the war started, during the war and some after the war was over. Making the decision to put these articles together in one book was an astute decision. Readers will be delighted to read these stories, whether they know people from that era or not. The most impressive things about all these stories are that the folks stayed together through thick and thin. There are not a lot of folks from the Greatest Generation still with us, but these stories are so full of the lives of these folks in these stories, it will make us all remember their love and determination to their homes and each other. Quill says: This is a wonderful history lesson for us.